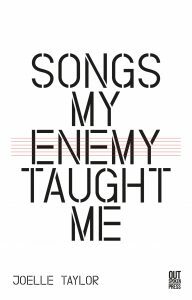 ‘Songs My Enemy Taught Me is a collection of poems themed around the experiences of women globally, but it had simple beginnings. It began with me. It began with a small child in a hotel room not wanting to speak. It began with opera, but the kind that cannot be heard. It began at the point at which I ended.